There are two branches of Vedic Astrology, Ganita (mathematics/astronomy) and Phalita(predictive astrology &c), and in both of them it differs profoundly from Western Astrology. Western Astrology is mostly based on tropical planets although there is a sidereal sidetrack as well, while Vedic Astrology is sidereal, planets referenced with fixed positions of sky. Difference between tropical and sidereal is termed ayanamsha in Vedic Astrology, whose exact value is a bone of contention among modern reformers of Vedic Astrology, but all variants hover around 23 degrees. Therefore, all 12 houses of a horoscope in Western chart differ from their Vedic counterparts by ~23 degrees. It has profound implications for predictive results, because a difference of 23 degrees out of a total of 30 for a house is considerable. Therefore, we can say thet even if predictive theories remain unchanged, Western and Vedic charts will show over 75% difference in results! As for the second part(Phalita or predictive theory), original sources of both Western and Vedic theories are same, and date back to a period well before 3000 BC because we find profound similarities between astrological schools of Egypt, Sumer, China, India etc. 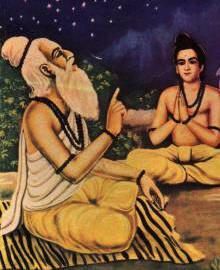 But with passage of time, differences between Western and Vedic astrological theories increased. Both deal with same themes, but approaches are different. Brihat Parashara Hora Shastra (BPHS) is the earliest and most comprehensive text of Phalita portion of Vedic Astrology, and it has considerable similarities with Ptolemy's Tetrabiblos. But BPHS is much more comprehensive, vast and organic in philosophical vision than any other Phalita text ever written in India or in the West. Adherents of Vedic Astrology claim that BPHS and related texts work wonderfully in sidereal system, but malfunction in tropical system. 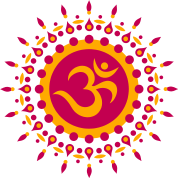 Astrology is denounced as pseudoscience in academic circles of the West, but India has many Sanskrit universities and research institutions with special departments of Vedic Astrology whose degrees are recognized by the government. Besides, government funding is allowed in India for research works in Vedic Astrology, while Western Astrology thrives on public goodwill only. The reason is socio-political : hardly any religious and related function among Hindus, including marriage &c, can be performed without the help of a Vedic Astrologer. Hence, Vedic Astrology has a greater influence than Western Astrology. As far as logical, philosophical and other coherence is concerned, Vedic Astrology is more organic than Western Astrology. As far as correctness of prediction is concerned, no thorough academic research has ever been carried out to compare Western and Vedic systems of astrology.